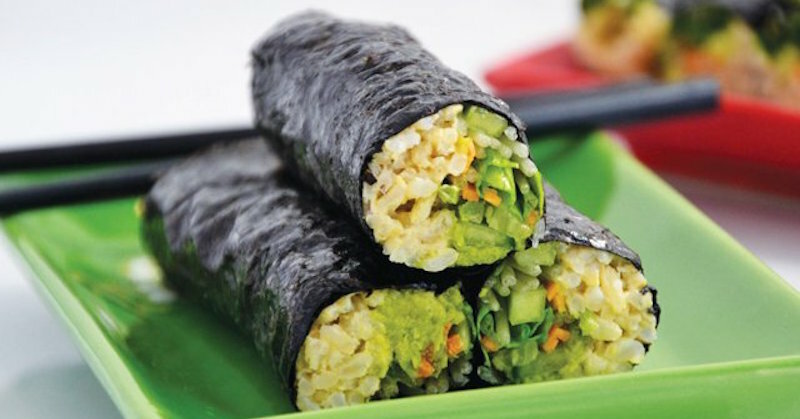 When we talk about seaweed, one of the first things that may pop into our minds is sushi wrapped in seaweed! 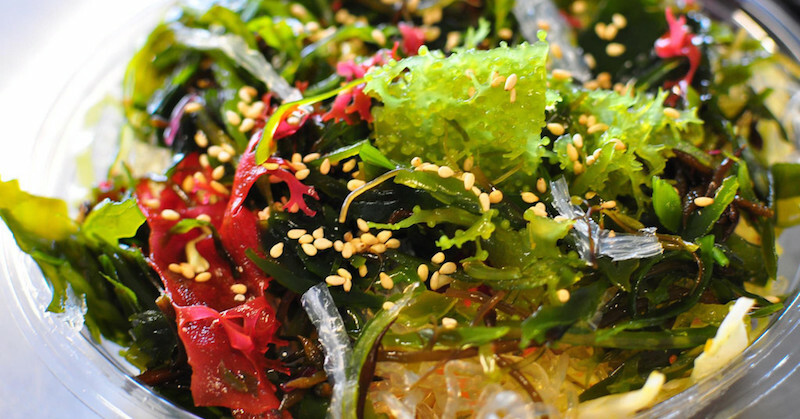 The Korean and Japanese cultures have known of the powerful health benefits of sea vegetation for centuries. In fact, cultures that have traditionally eaten seaweed-based diets are showing fewer instances of obesity, diabetes, Alzheimer’s disease and other degenerative diseases. Studies of large groups of people who eat seaweed and algae regularly tend to show that there are less incidences of breast cancer than those who eat more meats. Women in Japan, for example, have a lower risk of breast cancer than women in the western countries. Seaweed is a marine algae that is found or live near the seabed. There are three types of seaweeds: red, brown and green. Cultivated seaweeds are mainly used as food, ingredients for toothpaste, cosmetics (seaweed extracts can be found in some shampoo and moreover, spas are now using seaweed body wrap, baths and facials to create a healthy, glowing skin). Seaweeds offer the broadest range of minerals of any food and are an excellent source of vitamin K, the B-vitamins folate,riboflavin and pantothenic acid, and a great source of magnesium, iron, calcium and iodine. In addition, they contain significant amounts of lignans, which are plant compounds with cancer-protective properties. Scientists have researched that a substance found in brown seaweed called fucoxanthin has been proven to help reduce building of fats in our body. It does not only help us to shed some weight but has also been discovered that it helps good digestion. Alginate—another compound found in seaweeds, have been proven to protect our body’s gut wall by strengthening its mucus. It also helps to slow down digestion which in turn helps us to feel full for longer. Fatty acids and protein are not just found in fish but they are also found in abundance in seaweeds, which is essential to decrease inflammation and helps lower blood pressure. It is also rich in fiber that are helpful for reducing the risk of stroke. If you are looking to improve your cardiovascular system, then seaweed is the ultimate food to include in your diet. Studies show that seaweed modulates the production of estrogen and the less estrogen a woman have in her system, the lower the risk of having breast cancer. Plus, this superfood has fucoidan, another compound that is known to fight viruses, and interestingly, has anti-carcinogenic effects. Since seaweed is rich in iodine, this marine plant has been proven to keep your thyroid function healthy which in turn balances the production of hormones. Some of us may have known that a malfunctioning thyroid results in fatigue, high cholesterol, and difficulty in losing weight and in severe cases may lead to goiter, impaired brain functions and palpitations. Kelps are brown seaweeds which contain high concentration of iodine. They are being used traditionally to help treat goiter which is the inflammation of the thyroid gland. We are all aware that seaweeds are plants and it has chlorophyll. Now, this powerful substance that is responsible for seaweed’s green color also helps our body to remove heavy metal toxins with daily intake. It also has sodium alginate (otherwise called as algin) which absorbs toxins from our digestive tract. By eating seaweed with raw fish, the Japanese culture ensures that they are also protected from heavy metal and radiation contamination. Seaweed helps promote the production of white blood cells which are responsible to fight off bacteria and virus that cause infection. It also helps to boosts immunity since it promotes the healthy growth of the intestinal flora—which as we all know, that when the gut is healthy, so would be our immune system. There is no reason why we should not be able to enjoy the health benefits of eating this marine superfood. 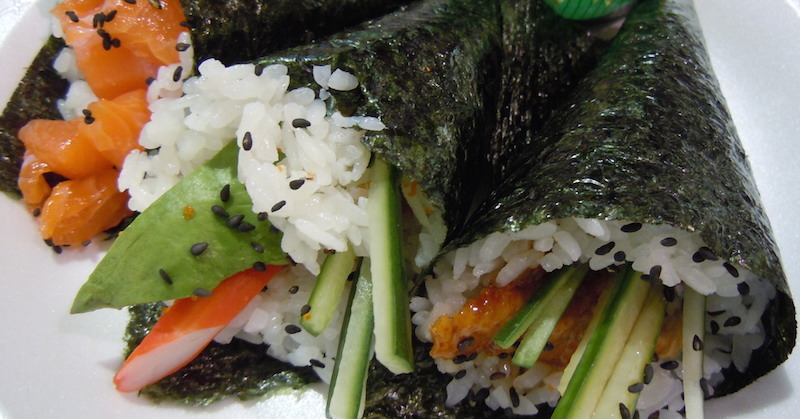 There are several ways which you can be incorporate seaweed into your diet aside from the traditional sushi. Soup: Kombu is a type of kelp which widely used as a stock for miso soup. Salads: Seaweeds can be used as a substitute for lettuce and spinach and can be a great addition to your salad. Drink: Kombu tea is widely drank by Japanese for years. It is also used as a tonic to help get rid of hangover and can also help as a pick-me-up drink. Supplements: Chlorella and spirulina in powder form can be included in your smoothies for the additional chlorophyll and B vitamins boost.